We are a group of meditators who meet together for silent meditation, Buddhist teaching and discussion. We emphasize Vipassana, also known as Insight or Mindfulness Meditation, though anyone is welcome to sit with us and practice their pref﻿erred meditation techniques. We offer many sits throughout the week which encompass dharma talks, silent sitting, and discussion. In addition, we have monthly events which include full-day sits (mini-retreats), mindful hiking, community potlucks, and other events. Please see our Schedule and Location to find out more about our current offerings. Also, many up and coming events are posted right on the homepage of the website. Longer residential and non-residential retreats are offered several times per year. These retreats are led by our teacher, Brian Lesage, and are organized and hosted by the Flagstaff Vipassana Sangha, which seeks to make the dharma available to all who seek it. For information regarding the members of the community that help coordinate sangha activities, please see the guiding council page. 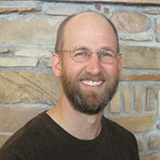 Brian Lesage has practiced Buddhist meditation since 1989 and has taught meditation since 2000. He has studied in the Zen, Theravada and Tibetan schools of Buddhism. He was ordained in the Rinzai Zen tradition in 1996. His training in Vipassana Meditation includes doing extended meditation retreats in Myanmar (Burma), Nepal, and India as well as numerous retreats in the U.S. He leads retreats and teaches meditation courses nationwide. Brian also has a private practice in Somatic Experiencing, which is a naturalistic approach to healing trauma. For more information about Brian, please visit his website Liberating Awareness. See his schedule of retreats and other related activities.